You may contact us by e-mail at support@lovemylotto.com. The Lottery Organisation Limited ("We") are committed to protecting and respecting your privacy. With effect from 25th May 2018 European Law regarding the protection of stored data becomes obligatory, the United Kingdom is a member of the European Union and therefore must comply with the new regulations, detailed in the following paragraphs is the information on how this affects you. WE DO NOT RETAIN COMPLETE DETAILS OF YOUR DEBIT OR CREDIT PAYMENT CARD. Newsletter: We may send you newsletters in relation to products and services that we think may be of interest to you. Each message contains information on how to unsubscribe from our newsletters – you may manage your notification settings from your player account and revoke your consent at any time. The Lottery Organisation Limited is committed to the enforcement of fraud and money laundering legislation and to compliance with the terms and conditions of our licence. If we have reasonable grounds to believe that fraud or money laundering or any other offence is being committed or at risk being committed by you or by other persons through use of your Player Account, we may, at our sole discretion, provide the relevant regulator or authorised law enforcement agency with your personal data, to the extent that it relates to the commission of an offence. This policy (together with our International Terms and Conditions of Use and any other documents referred to on it) sets out the basis on which any personal data we collect from you, or that you provide to us, will be processed by us. Please read the following carefully to understand our views and practices regarding your personal data and how we will treat it. For the purpose of the Data Protection Act 1998 (the Act), the data controller is The Lottery Organisation Limited, We are registered in England and Wales under company number 07636456 and have our registered office at 3 Trinity Street, Stratford-upon-Avon, United Kingdom CV37 6BL. Our main trading address is 3 Trinity Street, Stratford-upon-Avon, CV37 6BL. The following describes the information gathering and dissemination practices for the Websites operated by The Lottery Organisation Limited and any other company in the same group of companies as them, and including (without limitation) lovemylotto.com each being a "Website", and together being the "Websites", the Websites shall collectively be referred to as the "Services", as defined in our Terms & Conditions. The Lottery Organisation Limited unless legal obliged to do so, or is judged to be in the interests of the Company will not release, divulge, discuss, or enter into communication or correspondence, regarding any information relating to wins or winnings whether it be regarding an individual, group, or collective company data. In the event of a big win, the identity of the Members of a Syndicate that have opted for “no publicity” will be kept private to the extent possible. The Company reserves the right at its discretion, to advertise to the fullest possible extent that a lovemylotto.com Syndicate has won a Jackpot or other substantial prize. “you”/” your”/” yourself” means; the user of the website. The Company may collect and use your personal information in order to register you as an online direct debit player and/or player of lottery games, to administer any direct debit and/or on-line account you have with the Company (including, if you have provided the Company with debit card details, checking that you are entitled to use that debit card and that you have sufficient funds to play the lottery games), to provide lottery services and games via the Site, and/or via mobile phone text message, to enter you into lovemylotto.com syndicate lottery games, to contact you by post, email or telephone should you win, to ask you to confirm/amend the information we hold on you, to provide you with a user name and, in certain circumstances, an authentication code, to ask your views on the service offered by the Company and to enhance market research and promote the Company's services and games. The Company may also use your personal information to personalise marketing or other notifications to you. In providing your personal data, you consent to being contacted by the Company (by post, e-mail or telephone) in relation to all matters and to the Company processing your personal information for the above purposes. The information collected about you by the Company may include: your name, user name and password, bank account details, answers to security questions, debit card details, your address, driving licence information, email address, telephone number, date of birth together with details about your playing habits and transaction and game history relating to playing of games provided by The Lottery Organisation Ltd. Please note that not all of this information is mandatory. While the Websites may contain links to websites operated by parties other than The Lottery Organisation Ltd (for example the UK Gambling Commission), The Lottery Organisation Ltd is not responsible for the privacy practices or content of any such websites. Please note that when you enter any details into any part of our website, you are initiating a purchase or enquiry. If this process is abandoned or fails, an email may be sent enquiring as to why you have been unable to complete the operation you started. This email is merely a continuation of the process initiated by you the enquirer and includes non-submitted and abandoned data. This is to ensure that you were not experiencing technical problems with our website. Such communications do not fall under the regulations concerning marketing emails, however we may include in such e-mails a gesture of goodwill related to our products. As part of the account registration process, we also offer visitors registering with us the opportunity to "opt out" from keeping them informed of future events, offers and promotions from The Lottery Organisation Limited. Visitors who wish to take this option should 'un-tick' the relevant box in the registration process. you may update your marketing preferences at any time through 'My Account/Update Marketing Preferences' (or similar) section of the Website (where available) or by contacting Customer Services. If (where available) you have chosen to receive information on future events, offers and promotions by SMS message to your cellular telephone, you may "opt out" of receiving such information at any time by replying with the word "STOP". We may disclose your personal information to any member of our group, which means our subsidiaries, our ultimate holding company, its subsidiaries and our associate partner companies. "Advertising & Marketing" means for the purpose of notifying members of other gaming opportunities, this company is an associate partner of The Haywire Group, and as such will from time to time inform members of new gaming products. Store your Personal Data, details of which can be accessed from your personal account. (Provided that you do not "opt out" from this option), to keep you informed of future events, offers and promotions from The Lottery Organisation Limited. Conforming to legal requirements or complying with legal processes. The reporting of a crime or suspected crime, including money laundering or any fraud. 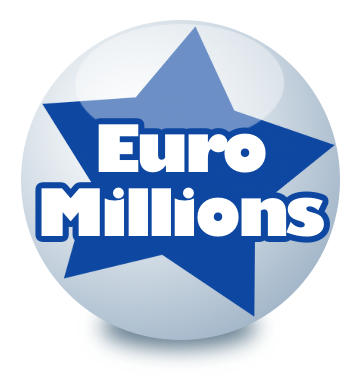 The Lottery Organisation Ltd may use your username and/or first name and region for advertising or promotional purposes. Telephone calls to and from our Customer Services Department may be recorded for training and security purposes. You may obtain a copy of your information held by The Lottery Organisation Ltd by contacting Customer Services. We do require up to twenty-eight (28) days' notice to enable us to comply with such a request. Last update 23rd May 2018.